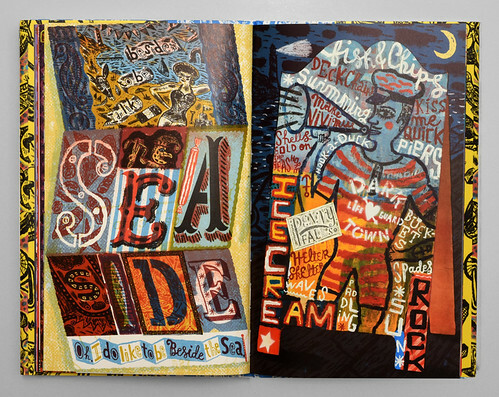 Jonny Hannah’s Fast Cars and Ukuleles: An ABC (The Mainstone Press, £20) is an entertainingly busy collection of the Scottish illustrator’s favourite obsessions, from America to Zombies via knitted ties and ‘Tam O’ Shanter’, the Robert Burns poem. Burns, according to Hannah, was: ‘a terrible farmer and an even worse tax collector, but when it came to writing poetry, he was sublime.’ Hannah’s poetic approach to imagery and lettering leaves no scrap of paper uncovered. See ‘‘Typo’s guaranteed!’’ in Eye 89, for more tales from Hannah’s ‘Darktown’ universe. 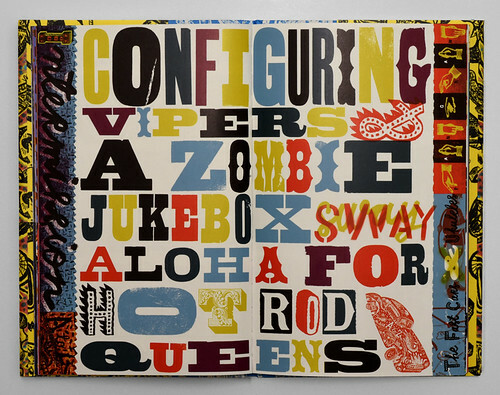 Spread from Jonny Hannah’s Fast Cars and Ukuleles of a pangram, a sentence using all the letters of the alphabet. 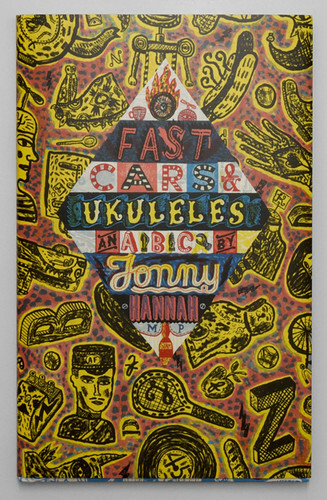 Cover and spread for Fast Cars and Ukuleles: An ABC. Pink: The History of a Punk, Pretty, Powerful Colour edited by Valerie Steele (Thames & Hudson, £39.95) begins by stating that ‘Pink is popularly associated with little girls, ballerinas, Barbie dolls, and all things feminine … but pink provokes exceptionally strong feelings of both “attraction andrepulsion”.’ Pink is framed and analysed through seven essays and an accompanying visual narrative that includes everything from the Women’s March of 2017 to the 1963 cover of Vogue featuring Jean Shrimpton wearing Yves Saint Laurent, and from a still from the ‘Think Pink’ musical number from Paramount Pictures 1957 film Funny Face to the 1968 Mexico Olympics uniform featuring the curvilinear logotype printed in pink on a pinafore dress. See ‘This is 1968 … This is Mexico’ in Eye 56. 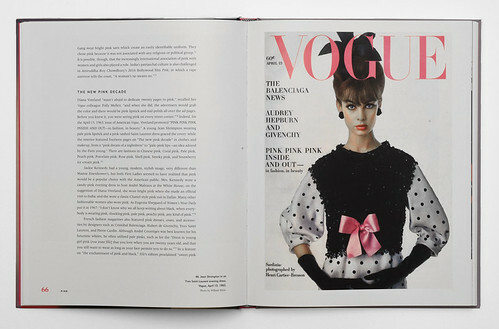 Spread from Pink showing the 15 April 1963 cover of Vogue featuring Jean Shrimpton wearing Yves Saint Laurent, photographed by William Klein. The issue included a fourteen-page feature entitled ‘The new pink decade’. 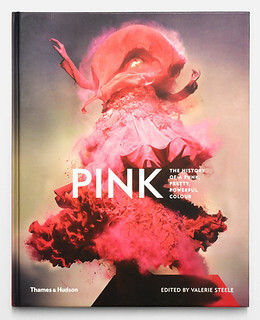 Cover for Pink: The History of a Punk, Pretty, Powerful Colour, designed by BTDnyc. 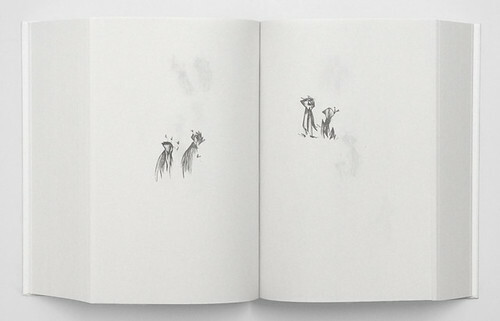 Essaime (1993-2018), by designer and writer Sébastian Morlighem is an unusual and entirely wordless book of 1446 tiny drawings. The small monochrome images are printed on uncoated white paper in a pleasingly tactile casebound book published by Élodie Boyer’s Éditions Non Standard (€50). Eye readers will know Morlighem best for his writing on type, such as ‘Mr Mistral’ in Eye 79. 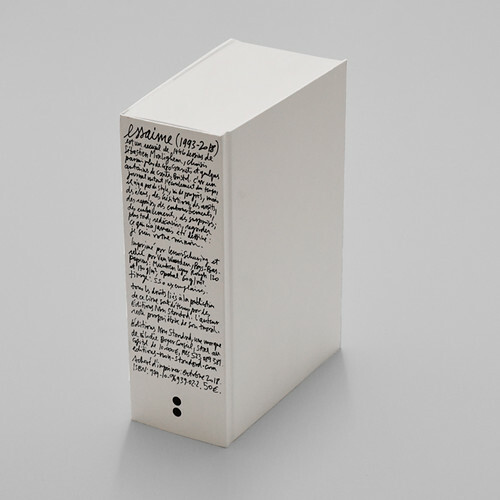 However the only letters in this volume are in a handwritten note on the spine that explains that this is a ‘diary noting the flow of time’ that ‘looks at what has never been drawn,’ a delicate swarm of tiny creatures that might seem comic or sad according to the viewer’s mood. Cover and spread from Sébastian Morlighem’s Essaime, published by Éditions Non Standard. The Eye: How the World’s Most Influential Creative Directors Develop Their Vision (Artisan, $45) is creatively directed and edited by Kinfolk founder Nathan Williams. The thick 448-page book, designed by Alex Hunting Studio, features more than 90 prominent creative directors in fashion, publishing and entertainment, mixing contemporary figures with ‘archive’ / historical ones such as fashion designers Telfar Clemens and Azzedine Alaïa (Fashion); art directors Mirko Borsche and Cipe Pineles (Publishing); and graphic design duo Stefan Sagmeister and Jessica Walsh and choreographer Merce Cunningham (Entertainment). 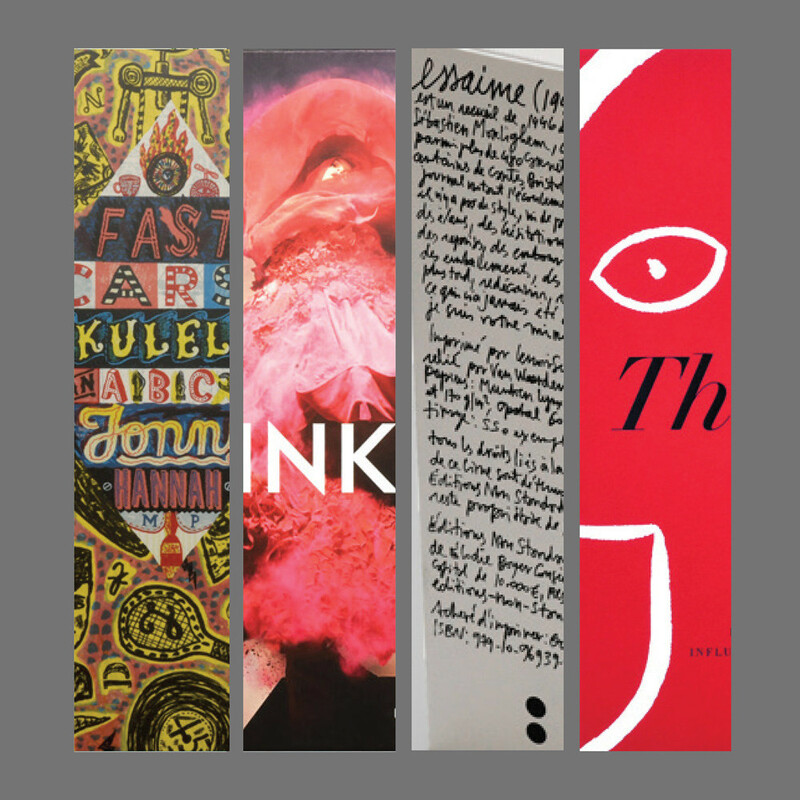 See ‘Giant monkeys in Sagmeister’s soul’ in Eye 83, ‘The tenth pioneer’ in Eye 18 and ‘Double vision’ in Eye 97. Veronica Ditting (The Gentlewoman) photographed by Marsy Hill and interviewed by Molly Mandell. 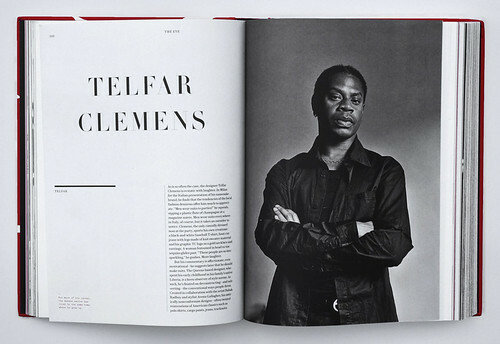 Telfar Clemens photographed by Jacopo Moschin and interviewed by Laura Rysman. 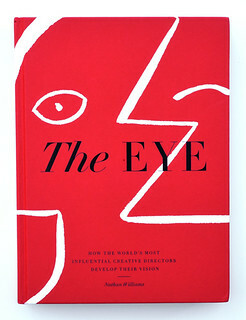 The Eye, designed by Alex Hunting with cover illustration by Jack Davison.